Have a look at this exclusive gift combo which is available for gifting all over India. 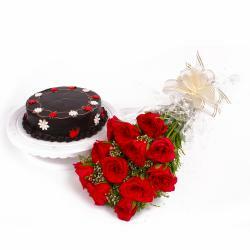 The gift combo comprises Bunch of Pink Roses which symbolizes love, innocence, purity and remembrance. 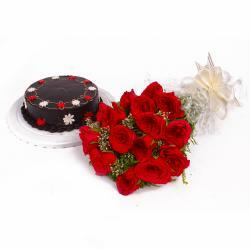 The combo also consists of a delicious chocolate cake. 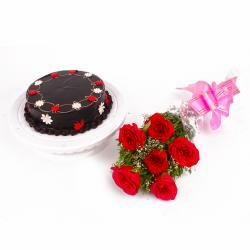 These are remarkable gifts item which is sure to elate the one you adore. 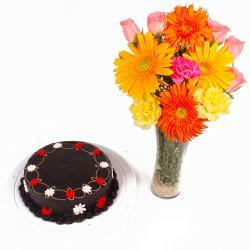 Take someone breathe away when you present this unique gift on special day like Birthday, Anniversary, Missing You, Ganesh Chaturthi, Boss Day. Send your love and care wrapped in this gift through Giftacrossindia.com. 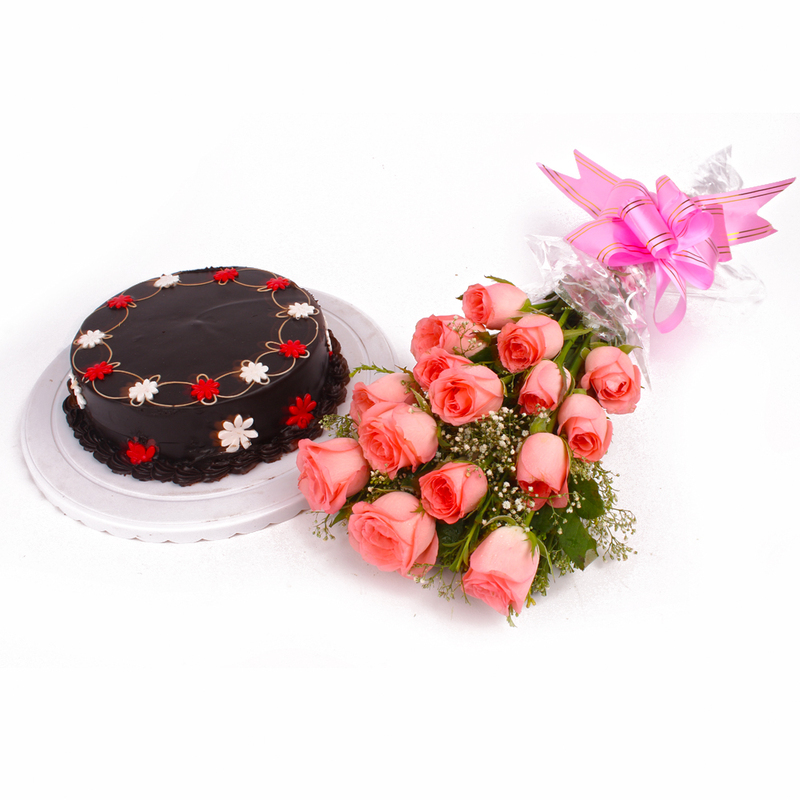 This gift hamper contains : Bouquet of Fifteen Pink Rose along with Half kg Eggless Chocolate Cake.